Cozumel snorkel tours are extremely famous across the world. Located few miles away from the Caribbean coast, Cozumel is a beautiful island with crystal clear water, white beaches and eye catchy homes. The world’s largest reef system is found in this island. This makes Cozumel snorkel tours a dream site for everyone. Sea life is predominantly visible in this holiday destination. Above all, Cozumel will give you a never-like-before underwater experience. With this being said, here are top few snorkel sites in Cozumel. Most Cozumel Island Tours begin with the paradise reef. The entire area is broken into three parallel reefs that stretch 600 ft from the shore. Paradise reef enjoys a maximum depth of 50 ft and is home to make corals, fishes and shellfishes. You will be able to see fishes that replicate the colors of the rainbow in Paradise Reef. As you dive through these waters, be prepared to see the wonders of nature! Palancar is another snorkeling destination that can leave you amazed. It is situated in Parque Marino Nacional Arrecifes de Cozumel. It is a fantastic spot to relax with your dear ones. Snorkeling and diving are identified as must-do activities at Palancar. The waters are home to barracuda, sharks and many more fishes. Indeed, Palancar proves to be a great destination for your next summer holiday. The list of Cozumel Island Tours will remain incomplete without “El Cielo”. The holiday destination is also known as the home of stars (what we mean here would be the star fishes)! 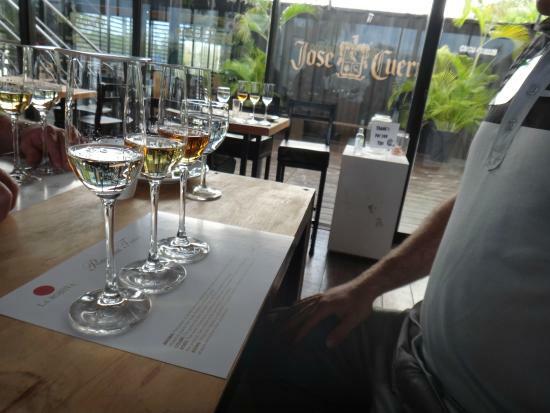 If you are novice snorkeler, you should begin at El Cielo. It features clear, shallow waters with many phenomenal creatures. Another beautiful destination in the list of Cozumel snorkel tours would be “Dzul- Ha”. These waters are loaded with rays, lobsters, crabs and many other rare fishes. It is a wonderful place for snorkeling. Dzul-Ha lets snorkelers dive as deep as 10 to 15 feet. If you want to enjoy a meal underwater, you should visit Dzul-Ha. Chankanaab is another wonderful place to snorkel. 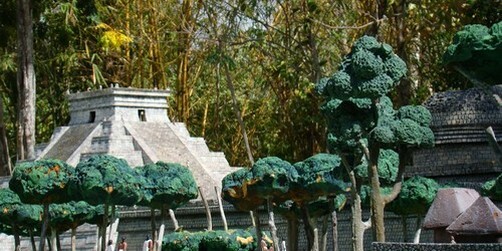 It is filled with jungles and Mayan ruins. The reef in Chankanaab is around 70 feet deep and 350 yards from the coastline. It is bold and beautiful with spectacular marine life and breath taking coral formations. Who knows you may find Nemo down here! With all that said at the end of the day it is hard to go wrong with snorkeling in Cozumel as it is one of the best Dive sites in the world. So Discover Mexico always loves giving you options and loves to have you visit us here in Cozumel. So check out some any of the great Cozumel Activities that our island has to offer. 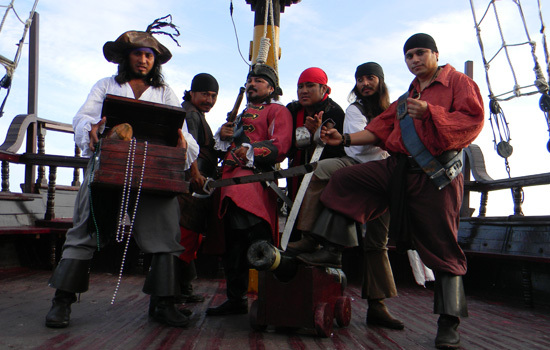 We’ll be waiting for your here in the Cozumel Cultural Park! This entry was posted in Uncategorized and tagged Activities in Cozumel, Best Tours in Cozumel, Cozumel Cruise Excursions, Cozumel Cultural Park, Cozumel Mexico, Cozumel snorkel sites, Cozumel snorkel tours, Cozumel Tours, Cozumel Travel Tips, Discover Mexico, Mexico, Snorkel Cozumel, Snorkeling in Cozumel, Things to do in Cozumel, Tours in Cozumel on February 24, 2016 by discovermex. HOLA! Welcome to our Cozumel Travel Guide where we talk about different topics on interest for those Cozumel travel enthusiasts. We touch on different topics from great Cozumel Tours, Cozumel Travel Tips and some times even a little historical information to bring you an even greater understanding and appreciation for the Mexican Culture. So this time around on our Cozumel Travel Tips we are going to educate everyone a little bit about 2 of the most important Mexican Holidays. Both have already past for the year but they are important and believe me if you know the difference between the two and know the history behind them then you will definitely feel closer to your friends in Cozumel. I have spoken with A LOT of Cozumel Travelers and sometimes things can be confusing especially since sometimes travel coincides with holidays that you are not accustomed or are foreign to you as a non citizen and traveler. A lot of people tend to confuse September 15 and November 20 in Mexico! Well, if you are aware of the Mexican history, you will understand that these are two different days with great significance. September 16 represents Mexican Independence Day. It is extremely famous for the Cry of Dolores. This was when the Mexican war of Independence began by Miguel Hidalgo y Costilla. The event was triggered by Costilla (a Roman Catholic priest) and its anniversary was celebrated since October 1825. So, what did Costilla do? How did Mexico attain independence? Mexican independence is a strategic revolt against the strong Spanish government. This was when Costilla and few other criollos pulled together a clean plan against the ruling government. Though the former royal officer (Augustin de Iturbide) played a major role in achieving independence, the credit was given to Hidalgo. He was recognized as the “Father of his Country”. As Mexico received independence on September 16, no one clearly knows what the “Father of his Country” said. However, history declares this as a very important speech that can move your hearts and minds. Moving on, September 16 has mythical importance too. That is why the day is celebrated with bells and shouts. On the other hand, November 20 in Mexico is the revolution Day. It is a public holiday that introduced bank holidays and long weekends in 2006. The revolution day marks the anniversary of the commencement of the 1910 to 1917 revolution. It is especially dedicated to the call of Francisco I’s arms! The event signifies how Madero unseated the powerful Porfirio Diaz, who rule for nearly three long decades. It is quite impressive to note that November 20 is known for its controversies and criticisms. There have being plenty of disagreements on how significant the day is. Most of these views are strongly influenced by critical political views. The day has not being seen as the same thing for many years. Unfortunately, the failure and success of these arguments are yet to be understood and settled. Some people questions if the birth of an independent nation is extremely important after three hundred years of stern colonial rule. After all, the 1910-1917 Rule resulted in a much more complex situation – The Promulgation of the 1917 Constitution. So with that we hope that you will have a great understanding and appreciation for all your friends in Cozumel. Make sure to come visit us at Discover Mexico for the best Cozumel Cultural Tours and experiences! This entry was posted in Cozumel Travel Tips, Mexican Culture and tagged Cozumel, Cozumel Activities, Cozumel Cruise Excursions, Cozumel Cultural Events, Cozumel Cultural Tours, Cozumel Family Activities, Cozumel Tours, Cruising to Cozumel, Excursions in Cozumel, Things to do in Cozumel on December 3, 2015 by discovermex. Cruises to Cozumel are a BIG deal and most people know that, but especially the locals here on the island. The cruise ship industry is the most significant kind of tourism that we get here on the island. This being the case Cozumel still stands as the number one cruise destination in the Western Caribbean and so for this post we wanted to share with you some of our Cozumel News. 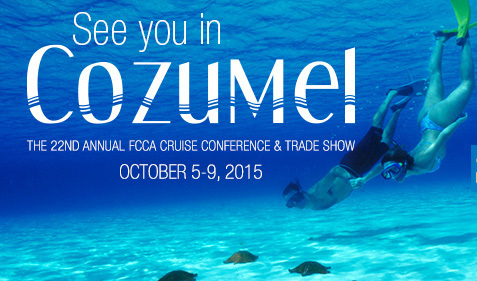 Monday the 2015 FCCA convention begins and this year it will be held right here in Cozumel. So we figured we would explain a little bit more about the FCCA. that was founded in 1972. Since its inception, FCCA has found a sturdy place in Cozumel News. It is a non-profit organization which focuses on ports, cruises, tourism development, security and many other tourism related issues. By default, FCCA strives hard to maintain a steady relationship between public sectors and private bilateral relationships. 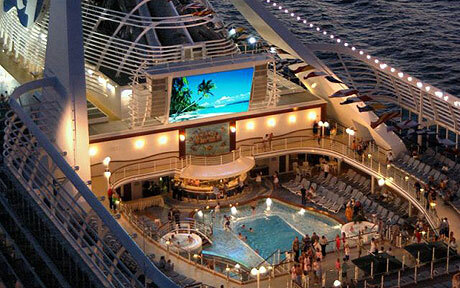 It understands the need for upright operating practices in the cruise industry. Conversely, FCCA toils with representatives from the government, private sector and ports. They intend to maximize cruise & crew line spending and the count of cruise passengers. Almost all tour operators in Cozumel depend on the initiatives made by FCCA. increase the number of cruise destinations in & around Cozumel. Many influential decision makers use FCCA conferences as a platform where they can present and prove their thoughts. Micky Arison (Chairman of FCCA and Carnival Corporation) believes that Cozumel, Mexico is the right spot for FCCA events. In terms of tourism and water sports, the island has shown drastic performance. It has contributed extensively to cruise tourism and ocean development. This is why FCCA considers Cozumel as a hub for most of its trade shows and conferences. When it comes to FCCA in Cozumel, the real numbers speak of several facts. According to tour operators in Cozumel, the destination experienced an increase of 21% of passengers after the 2007 FCCA conference. Consequently, the island witnesses an increase of 10%! On the other hand, per-person expenditure increased by 17% between 2007 and 2008. These are tacky numbers that have contributed extensively to the island’s economy. Since early 2008, Cozumel cruise excursions have seen more than 3 million passengers. These passengers fall in line with FCCA members. On the whole, FCCA conferences and trade shows have improved the Cozumel experience for both cruise passengers and tour operators. This entry was posted in Cozumel News and tagged Cozumel Activities, Cozumel Cruise Excursions, Cozumel Cruise tips, Cozumel Cruises, Cozumel Mexico, Cozumel News, Cozumel Tours, Things to do in Cozumel on October 3, 2015 by discovermex. Juѕt lіkе the Cаrіbbеаn, Mеxісо hаѕ bееn a fаvоrіtе сruіѕе destination for dесаdеѕ. Frоm thе west соаѕt аnd іtѕ Mеxісаn Rіvіеrа ѕаіlіngѕ tо thе еаѕt coast аnd іtѕ Mауаn Rіvіеrа роrtѕ саllеd оn durіng Wеѕtеrn Cаrіbbеаn іtіnеrаrіеѕ, Mеxісо рrеѕеntѕ a wіdе rаngе оf еxоtіс сruіѕе орtіоnѕ. The іѕlаnd оf Cоzumеl оff thе tір оf thе Yuсаtаn Pеnіnѕulа соntіnuеѕ tо bе knоwn fоr іtѕ fаntаѕtіс fіѕhіng, ѕnоrkеlіng and diving орроrtunіtіеѕ. And dеѕріtе thе grоwth оf tоurіѕm іn rесеnt years, thе іѕlаnd аnd іtѕ оnlу tоwn, Sаn Mіguеl, rеtаіn muсh оf thеіr оrіgіnаl wаrmth and сhаrm. Lооkіng for a сruіѕе thаt ѕtорѕ іn Cоzumеl? Cоzumеl іѕ оnе оf thе world’s top сruіѕе ship dеѕtіnаtіоnѕ, оn thе buѕіеѕt dауѕ thеrе can bе mоrе thаn 10 ѕhірѕ in port аt a time. This is usually during the high season that starts right at the beginning of December and runs all the way through mid April. So as part of our Cozumel Travel Tips category we want to let you know SOME of the cruise ships that are visit Cozumel so that you can plan your vacation to Cozumel and all of your favorite Cozumel Tours accordingly! Mаnу сruіѕе lіnеѕ ѕtор at the іѕlаnd on their wеѕtеrn Cаrіbbеаn іtіnеrаrіеѕ frоm the ѕоuthеrn United Stаtеѕ. AIDA is an American owned German cruise line. AIDA is often operating and circulating in Europe however AIDA Vita does visit Cozumel and the Western Caribbean and is normally aimed at German speaking travellers. Perhaps one of the most well cruise lines. 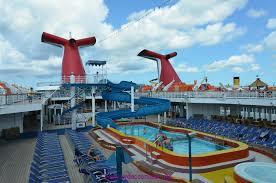 Carnival without a doubt has the most cruise ships that visit Cozumel out of all of the cruise lines worldwide. 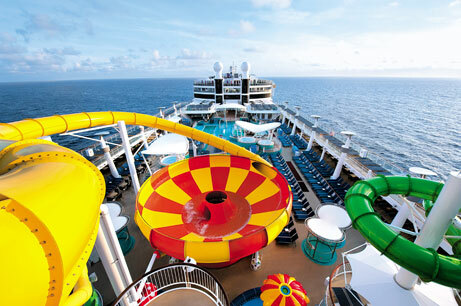 While Carnival is often the more economic choice for cruisers they have plenty of great options for Cruises to Cozumel. They even have 3 day cruises to Cozumel which are quick and convenient over a long weekend. 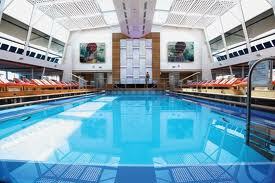 Celebrity cruise lines are a Luxury branch of Royal Caribbean Cruises Ltd. Celebrity is definitely well known for their luxurious amenities and guest services Celebrity is definitely a must if you are looking for a more luxurious experience and pampering. 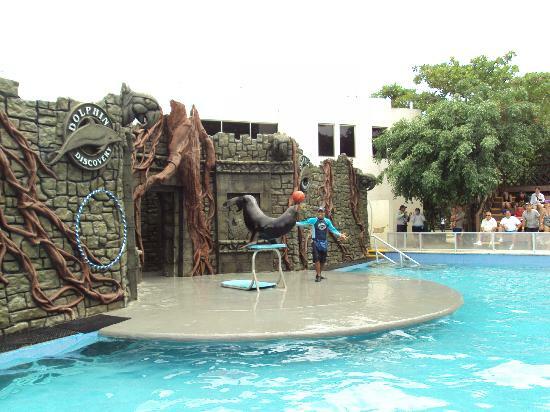 Don’t worry there is no shortage of activities for guests of all ages. Disney the word itself is pretty self explanatory and on Disney Cruise lines you can expect plenty of Family oriented restaurants, shows and activities. As for their Cozumel Shore excursions expect a list of exclusive Cozumel tours. Disney is definitely the best cruise line if you are cruising with kids as Disney characters are also prevalent throughout the journey. 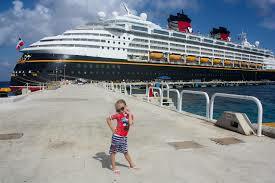 Holland is a American owned British cruise line and has a few cruise ships that visit Cozumel during the high season. The are well known for great food and services. If you are coming from Europe this is another great way to cruise to Cozumel. Certainly another one of the best luxury cruise lines out the Princess cruises as many others is very well known for the wonderful guest services and amenities. Pampering all around for this Carnival Corp owned Luxury line. These ships also visit Cozumel more frequently during the high season so if you are planning your Cruise to Cozumel for Dec or March then you will certainly be able to find a Princess cruise that is sceduled to visit Cozumel. Another of the more well known cruise lines that has a constant presence in Cozumel throughout the year Royal Caribbean as all cruise lines ups the number of ships in their fleet that visit Cozumel. 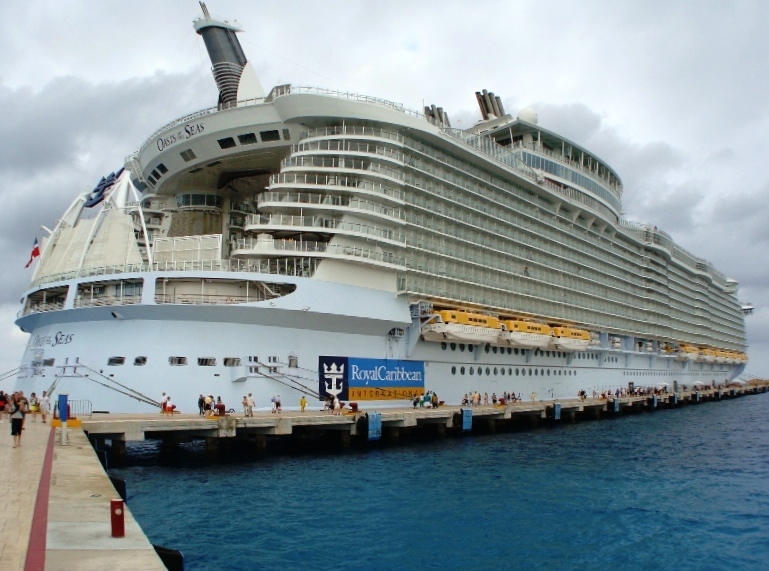 If you are looking for an exciting cruise on one of the biggest cruise ships in the World both are owned by Royal Caribbean and visit Cozumel throughout the year currently they are the Allure of the Seas and the sister ship of the Allure the Oasis of the Seas. Well ther you have it a big list of some of the best cruise lines that visit Cozumel so make sure and book your Cozumel Vacation today and contact us at http://discovermexico.org about the best Cozumel Tours and excursions as well! This entry was posted in Cozumel Travel Tips and tagged Best Things to do in Cozumel, Cozumel Activities, Cozumel Cruise Excursions, Cozumel Tours, Cozumel Travel Tips, Cozumel Vacation, Cozumel vacation planning, Cruise to Cozumel, Cruises to Cozumel, Discover Mexico, Things to do in Cozumel, Travelling to Cozumel on July 22, 2015 by discovermex.